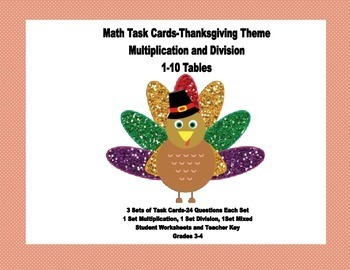 Task cards with a Thanksgiving theme offer a fun way to reinforce and practice the multiplication tables. This package offers three sets of task cards with 24 cards in each set. 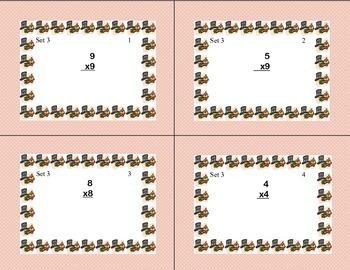 There is a student answer sheet for each set and a teacher key for each. This is great practice for students who might need extra drill or for those early finishers that you want to provide with a meaningful review. Extra packs of cards could be given to students for individualized homework assignments.